Do you send out holiday cards? Chris and I love gathering by the tree with our puppies all in our matching pajamas and taking our pictures for Christmas cards! 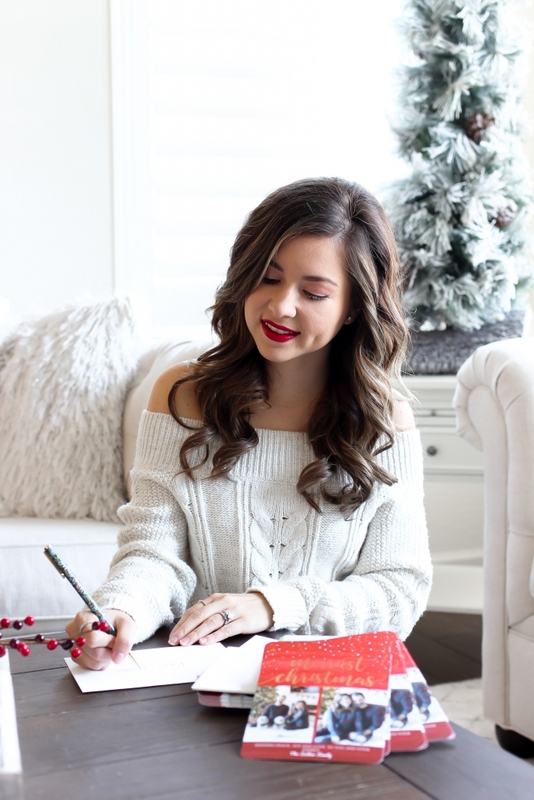 If you aren’t sure where to go to get your holiday cards then you are in luck because today I’m partnering with Mixbook to share ours and how can get yours for 50% OFF. If you have children or fur children, then you know that taking the photos themselves can take way TOO long! So when it comes to creating the actual card itself I really couldn’t imagine taking any more time. 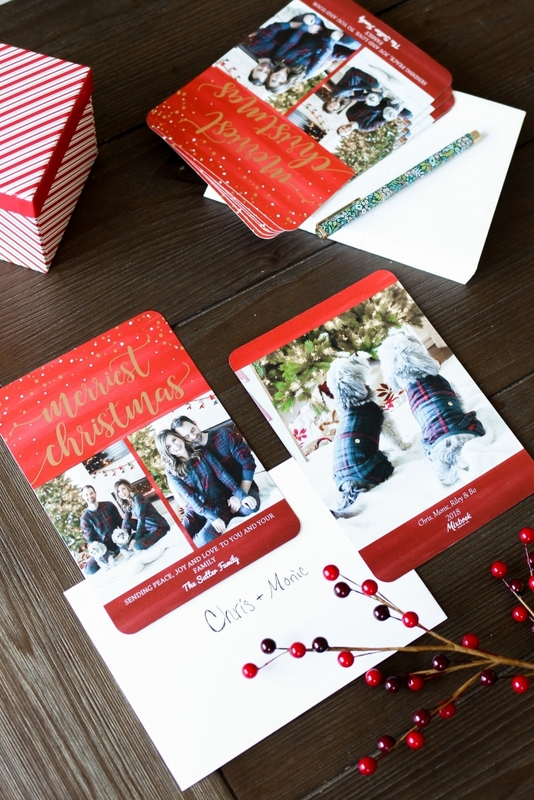 Mixbook made it so simple to create our Christmas cards this year with just a few clicks. Mixbook has a ton of holiday card invitations starting as low as 0.69 cents.They also really easy to filter in what you are looking for and for your cards. I always have a hard time narrowing down the photos to use on our cards but after choosing my top 3 I was able to decide on the PERFECT card. We decided on this Christmas card design with rose gold foil. I love how the foil adds a bit of shimmer! 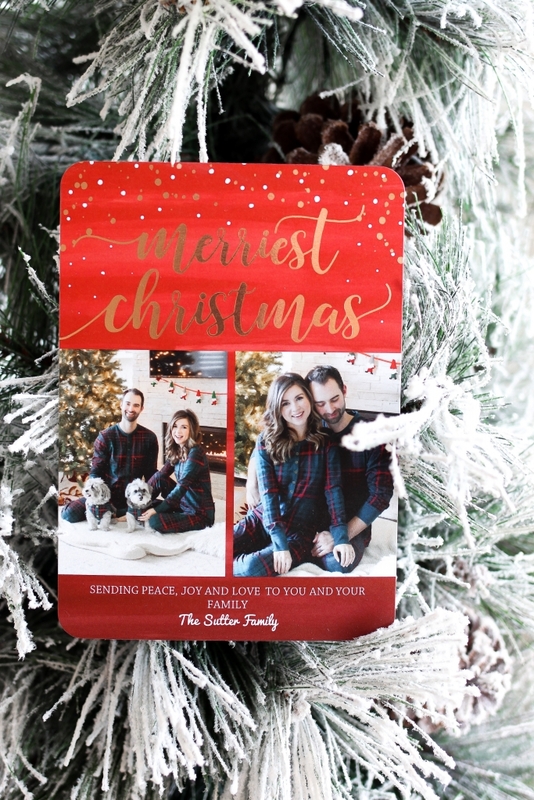 Here in the Sutter home we absolutely love Christmas so this holiday card really said happy holidays for us. Also I loved how the puppies got the back side of the card to themselves! 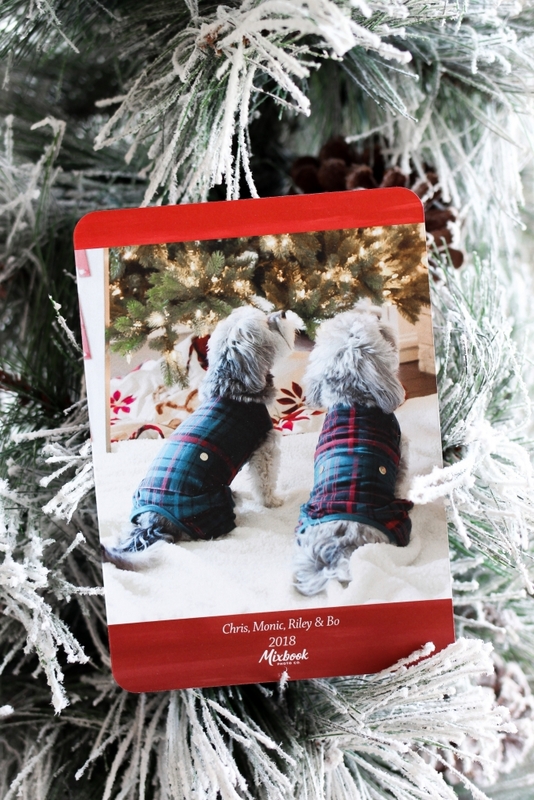 Holiday cards are a great way to show friends and family love and holiday cheer! If you are looking for an alternative to the cards Mixbook also makes photo books and calendars that are also customizable. Any one of these would be a great gift for grandparents, husband and in-laws. Since our cards got here SUPER FAST! All that’s left to do is send these beauties out! If you haven’t checked out Mixbook make sure you use code MONIC50 and order your cards today! Thank you to Mixbook for sponsoring today’s post all thoughts and opinions are my own.